Okay, okay. 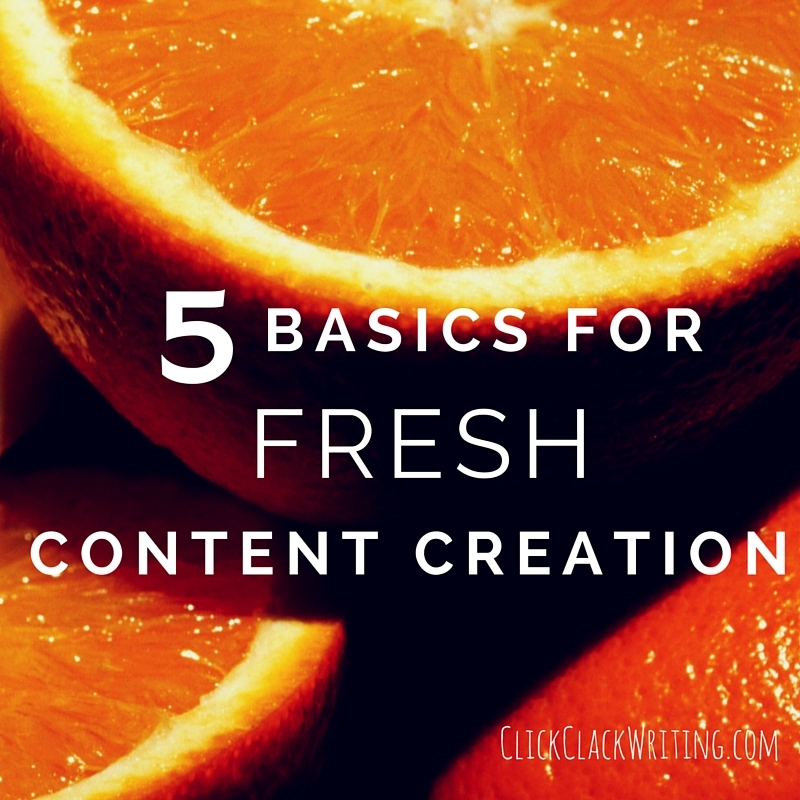 This sounds totally boring and tedious, but it is THE number one thing you can do when it comes to creating fresh content. Set aside a chunk of time every day (whether it’s a half hour in the morning, a few minutes during lunch, or whatever) and dedicate that time to freshening up your content. Surf the web, create a list of handy articles you find, and post them to your website or social media platforms. Try to dedicate at least one day per week to creating your own content in the form of a blog post or newsletter. Look to steps 2-5 for great content creation shortcuts. Get daily (or weekly) alerts delivered to your inbox about the subjects that matter most to YOU. Do you care about fashion, photography, ice skating? Does your business revolve around career coaching? Diversity training? Security systems? Subscribe to Google Alerts and find interesting new content to share with your audience. Alternatively, use your favorite RSS feed reader to get updates from your favorite websites. If you’re attempting to keep up your website, multiple social media platforms, and a blog, it can all feel a little overwhelming at times. That’s where cross-pollination comes into play. You can link many of your platforms together so that your content is disseminated across multiple areas. For instance, you can schedule an automatic tweet/Facebook post/LinkedIn update when you publish a blog post. You can also put a Twitter or Facebook feed on your website so that any site visitors can easily see your recent activity (and the website will always seem fresh). You can link your Instagram account to Facebook, Twitter, Tumblr, etc. so that your snazzy photo will be shared across all your social platforms. With cross-pollination, you can ease the burden of trying to be everywhere at once. Focus on what you love and let your content spread through your linked accounts. What is evergreen content? That’s the stuff that stays fresh and relevant, no matter the original posting date. Maybe you’re a construction company and you’ve written a blog post about winterizing your home–that’s evergreen. It will be relevant year after year for homeowners. Take advantage of that longevity. Feel free to repost evergreen items every once in a while to your audience. What’s NOT evergreen? Promotions, holiday greetings, event reminders…anything that will become irrelevant after a given time period. It can feel like a social media rat race when you try to tweet or post about whatever topic is trending at the moment. Unless you love being on the daily pulse (or truly have something to say about a hot issue), don’t work yourself into a frenzy trying to keep up with the latest trending topic. Instead, focus on your business and your personal area of expertise. Concentrate on what’s relevant in your industry and what will REMAIN relevant to your audience in the foreseeable future. Keep in mind: your contention creation is NOT about you. It’s about your audience. Do them a service by relaying quality advice, tips, or professional opinions. Give them information that they can use. Make yourself (and your company) a value resource to them, and they’ll keep coming back. If you’re up to your ears with work, don’t be afraid to hire help. While we encourage you to at least attempt to create your own content for a while (this helps you develop a genuine voice and build an understanding of your audience), we understand that not everyone has the time or inclination. Hire an expert (or several) to either get you going or maintain the content creation work that you’ve already started. Companies like Click Clack Writing specialize in content creation for businesses. Other companies like Tena.cious specialize in social media marketing and can help set you up with a comprehensive social media strategy. Whatever your needs may be, there are companies out there that can help. By hiring outside help, you can get back to the work you really love. Good luck with creating fresh, interesting content! If you need further help, please don’t hesitate to reach out to us today. This question is a tough one. 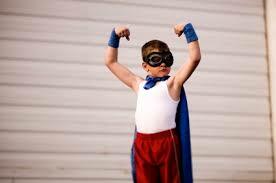 There are a lot of factors that make up an excellent leader: trust, self-confidence, good communication skills. In fact, I talk about my top ten attributes in my book, the Ten Minute Leadership Challenge. But the one thing at the heart of it all is AUTHENTICITY. You have to be an authentic leader before anything else. You need to know yourself, your values, how you work, and who you are before you can even consider leading others. Authenticity means having a deep understanding of your inner self and not compromising your deeply held values. Sure, you can adapt to different situations and show different sides of yourself at different times (i.e. a more casual side at home, a more professional side at work), but your core should remain the same. 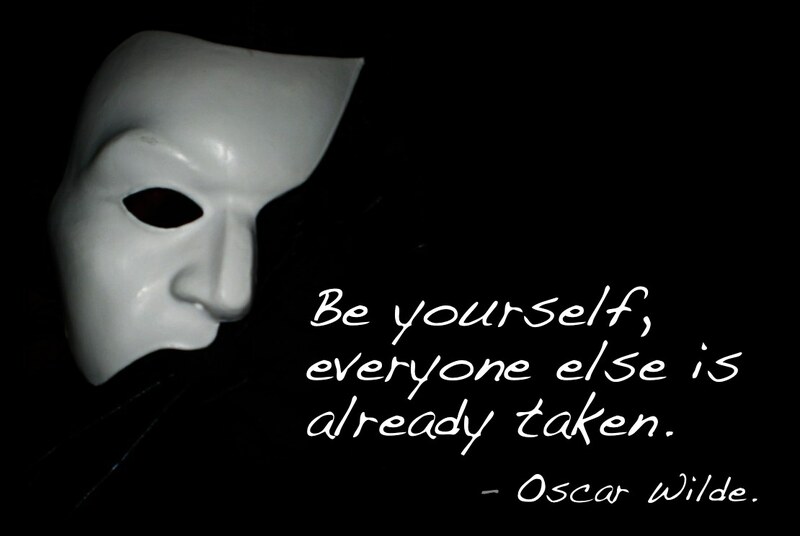 How would anyone trust you if you act like one person sometimes and a completely different person at other times? What would people think if you always agreed with whomever you were speaking, even if their assertions were way off base from what you believe? Being authentic should be part of your personal brand. Show up, be yourself, and take a genuine interest in those around you. I’ve been evaluating and interviewing Millennials lately for my forthcoming book, and I’ve found that authenticity is just as important as ever in the workplace. Millennials look for candid, authentic leadership that they can trust. Furthermore, with the popularity of social media, your comments and photos are everywhere. Yes, you should be your authentic self on the web, but you should be your BEST authentic self. Let your funny or intellectual or caring side shine! You’ll find that being your best authentic self is a heck of a lot easier than significantly modifying your behavior and beliefs whenever you’re with a different group of people. When people say, “your reputation proceeds you,” you should know that is a good thing. Tune in next week for the UXL Authentic Leader Model. Last week, I attended an interesting and educational webinar on hashtags. The webinar was put on by members of the Insights® Discovery team. Through this session, I learned some valuable bits of information that I’d like to pass along to you. Here are a few of my key take-aways. Do your research: Know which hashtags are currently popular in your field. Don’t hashtag every word! It seems desperate and amateur. Create a specific hashtag for any event you host and actively encourage attendees to use it. Don’t be shy! Project your chosen hashtag on your powerpoint or print the hashtag on pieces of paper that you put at each chair. 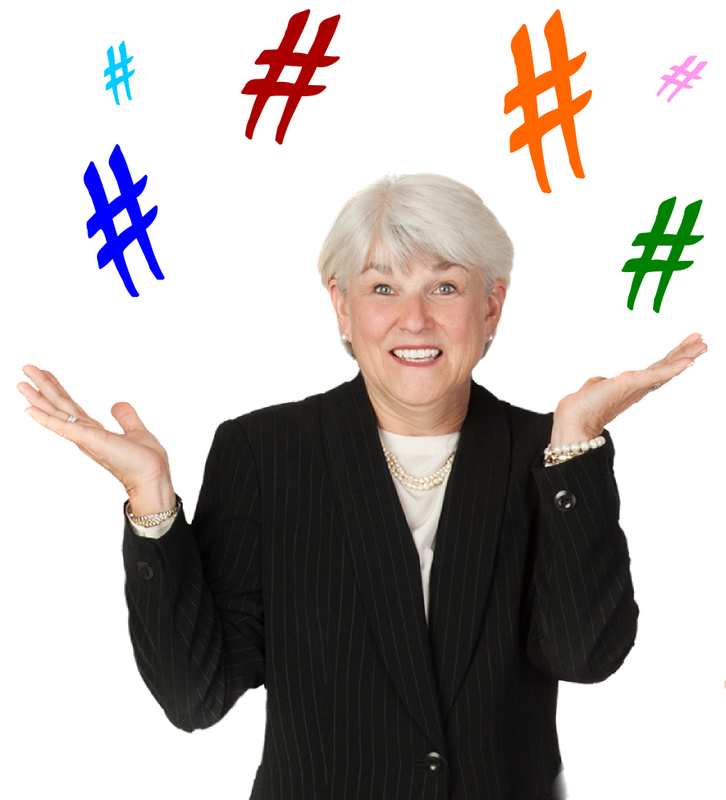 My main take-away: Don’t be afraid of hashtags! They aren’t something “the kids are doing these days.” They are a useful way to make connections and network in your field. Do a little research and then dive in! Last week, we talked a little bit about social media marketing in general; this week (to continue social media month), I’m going to address social media and your personal brand. Your personal brand is synonymous with your reputation–it has to do with how you show yourself to the world AND how the world sees you. Creating a positive personal brand doesn’t happen over night. We build our brands every day, little by little, through our actions and words. So how does this tie to social media? Turning negative occurrences into positive statements shows that you’re able to rise above challenges and aren’t bogged down by the minutia in life. And believe me, people take notice of your overall “mood” on social media. Think about how you want to “show up” every day. Anne Pryor, LinkedIn expert and founder of Meaningful Connections, once told me that it is unwise to accept every invitation to connect. Just as in “real life,” you are judged by the company you keep on social media. Don’t associate yourself with people who are negative, disreputable, or who post things in poor taste. Anyone can view your connections, and it’s best to be proud of your list of friends and followers than embarrassed. 3. 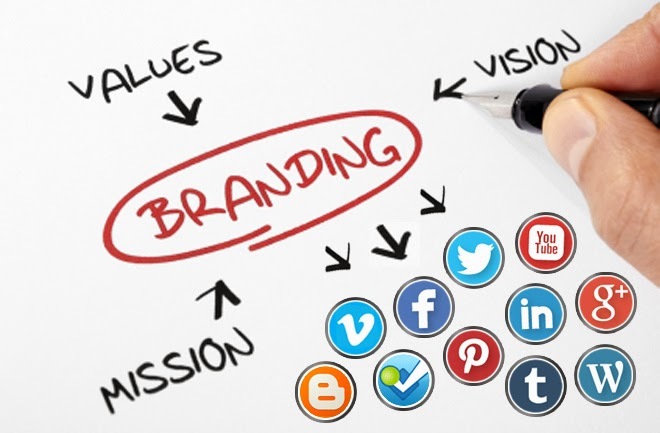 Let your brand shine! Sure, you should be cautious on social media, but that doesn’t mean you can’t have a little fun. Post interesting articles, photographs, quotes, and videos. Engage your audience by asking questions or asking for their opinion. Feel free to tell (clean!) jokes, celebrate your favorite actors’ birthdays, or post photographs from the baseball game you’re attending. Just make sure it’s you. Social media is a great way to let your best side shine, and showcase your areas of expertise. Your audience is looking for a healthy balance of fun, engagement, and industry knowledge. 1. Choose the platforms that are right for you. There are dozens of social media platforms in existence today–everything from Instagram to Tumblr, Facebook to Ello, Flickr to Pinterest. What’s right for you? If you truly don’t know where to begin, hire a social media strategist to help get you on the right track. Or, if you don’t mind doing your own research, hop online and look up companies that are similar to yours. Find out what social media networks they’re the most active in, what kind of things they post, and how often they post. Or, you could always ask your teenage son/daughter for some help! Once you’ve determined which social media platforms you’d like to use, figure out a posting strategy. Typically, you’ll want to post something at least a couple times each week (more for Twitter or Pinterest), and a social media strategist (or online research) can help you determine the best course of action. HOWEVER, do not commit to a schedule that isn’t going to be sustainable for YOU. Even though it may be optimal to post to Twitter 8 times per day, do you really think you’ll be able to keep up that pace? Figure out what works for you. Maybe you’ll choose to post a relevant photograph twice a week; maybe you’ll post a business tip once a week. Create a schedule, stick with it, and adjust the schedule as needed down the road. Remember, social media is not about YOU (as counter-intuitive as that may sound). It’s about your network, your community. If you’d like to engage and energize your network, be sure to make them feel included. Ask them questions (i.e. if you sell apparel, ask your audience what their favorite travel outfit is. OR, if you sell flowers, post a few pictures of different floral arrangements and ask your audience to vote on their favorite). Also, give your audience bits of relevant, useful information they can use. I often post career tips and tricks, or links to my latest blog posts. Don’t forget to visit others’ profiles and “Like” or re-post their content. This demonstrates that you are active in the community and excited about what others are doing (and not just focused on yourself or your own business). Besides, there’s a lot of great information out there. It’s fun to see what others are sharing. Good luck with fitting social media into your marketing strategy. It’s a valuable way to connect with your audience and reach a wide range of people at a low cost. It doesn’t have to be overwhelming or intimidating if you stick with the three main guidelines I laid out. Relax, have fun, and socialize! If you’d like any additional guidance, please feel free to reach out and contact me.